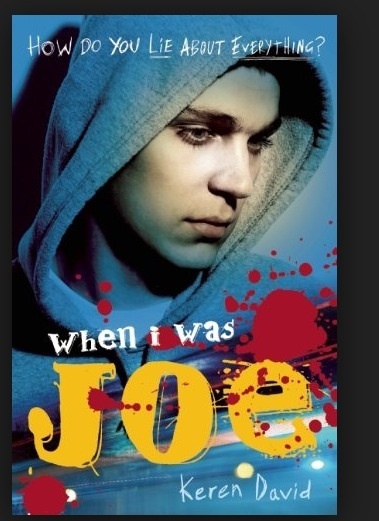 When I Was Joe by Keren David. When Ty witnesses a brutal stabbing and decides to testify they are immediately advised to go into witness protection. At first Ty and his Mother think that the police are being a bit paranoid but when the shop below their apartment is torched in a petrol bomb attack. They soon realise that the threat is all too real. So now Ty must become Joe, a quiet,shy fourteen year old now becomes a loud, popular and athletic thirteen year old who is finding it very hard to get to grips with his new life. Then he meets Claire a shy girl who never seems to talk to anybody at home or at school but Claire has a secret that know one knows, a secret that very likely could get her killed. When I read the blurb of this book I felt that it was going to be extremely good. I mean it had all the right ingredients: a boy being chased by ruthless gangsters, him having to come to terms with his new life and a girl with an equally terrible secret of her own. Despite all that it just wasn’t able to keep my attention for a long period of time. In all honesty it started very well and in my opinion it went all down hill from there it was just too predictable. (In my opinion). Previous Previous post: The 5th Wave.